Like my previous post, I thought I’d share with others what I built. 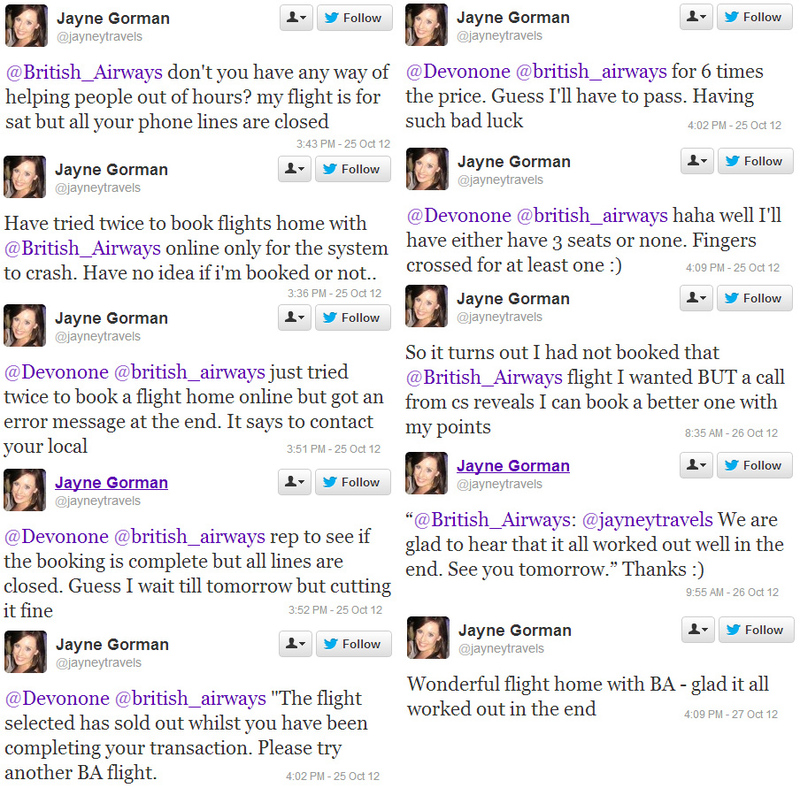 In late October, Jayne Gorman (@janetravels) reached out to British Airways (@British_Airways) on Twitter for help and was less than pleased with her experience. She wrote an article about this experience here. Below are the tweets I could find on the topic. You’ll note that BA apparently deleted its tweets on the topic as I could not find them anywhere.